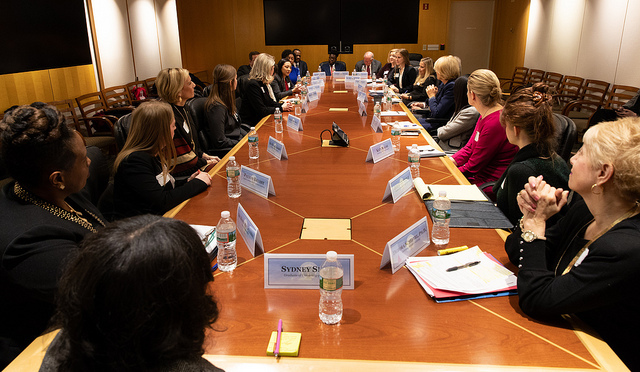 U.S. Secretary of Education Betsy DeVos invited University-School Partnerships for the Renewal of Educator Preparation (US PREP) National Center to Washington, D.C., yesterday (Jan. 17) for a roundtable discussion about preparing classroom teachers. 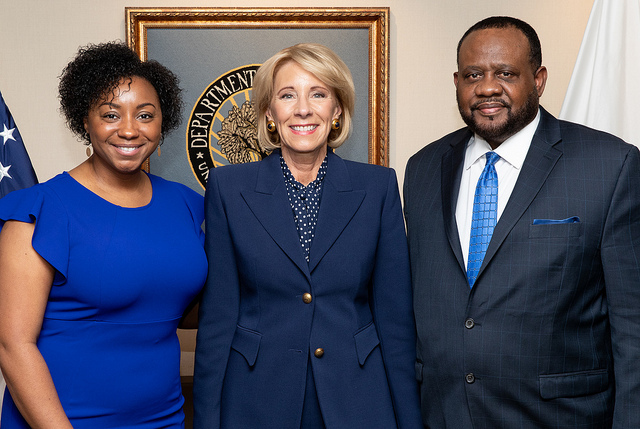 During a more than 90-minute meeting at the Department of Education, US PREP – a national center housed at Texas Tech University that helps universities around the country transform and improve their teacher preparation programs – showcased how it is addressing challenges that contribute to a national shortage of educators. 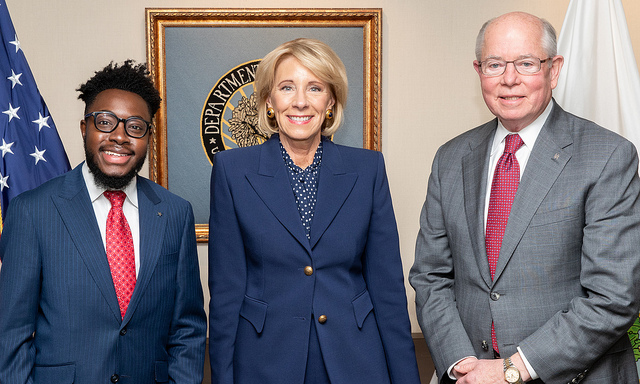 Coalition Deans and program graduates shared innovative features of the initiative and emphasized the importance of high-quality training for pre-service teachers. Deans and graduates from US PREP partner universities – including Texas Tech University, University of Houston, Sam Houston State University, Southeastern Louisiana University, Jackson State University and the University of Memphis – were at the roundtable discussion to share their experiences. 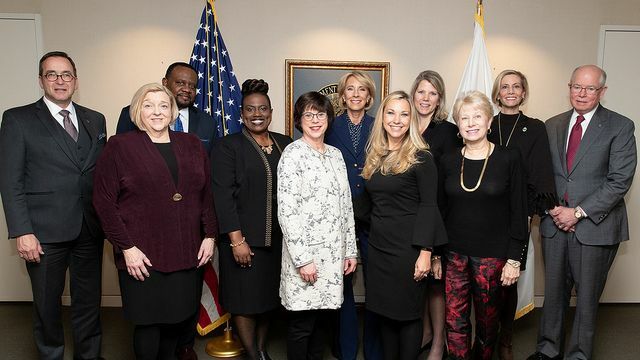 “I was honored to share the importance of deep partnerships with school districts to meet their unique needs, and, secondly, the importance of having robust and in-depth data to inform decision making,” said Stacy Edmondson, Dean of the College of Education at Sam Houston State University. 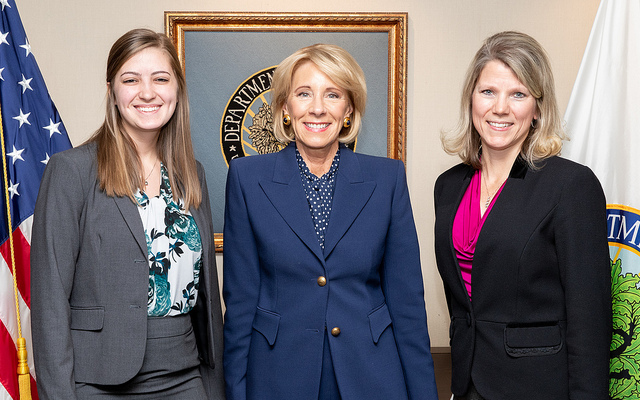 “It was a great opportunity for us to have these conversations with the U.S. Secretary of Education and to have a voice in what will hopefully be a meaningful change for teachers across the country. Teacher preparation is a team sport, so if we have innovative methods that are working in preparing high-quality teachers, we want to share what's working!" Among the features of US PREP are close partnerships between universities and schools, embedded university faculty in school districts, and intensive clinical experiences featuring a year-long teaching experience and robust performance assessments. US PREP also supports their member providers with developing high-quality teacher preparation pathways that are affordable and accessible to prospective teachers. One example involves accelerated preparation pathways and partnerships with community colleges. 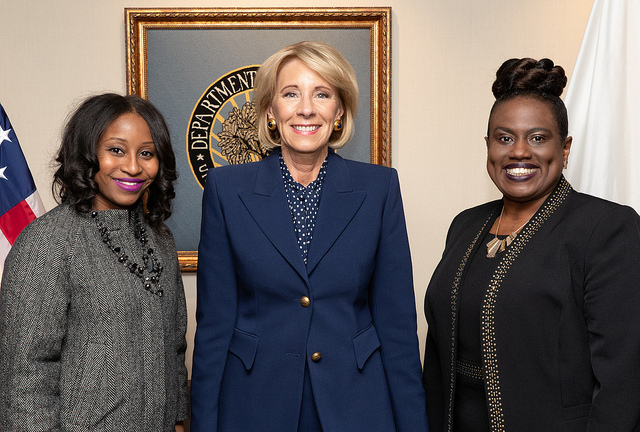 “I shared with Secretary DeVos how important it is to have support for candidates in the teacher preparation programs and the chance to foster relationships,” said Ayodele Shofoluwe, a University of Houston graduate who now teaches in nearby Lamar Consolidated Independent School District. “Having a year-long residency of actually teaching alongside a mentor in a classroom for a year prior to stepping into your own classroom was very critical. I was able to meet with the principals and teachers and get a three-dimensional perspective on how the classroom works, the procedures and the expectations,” Shofoluwe said. US PREP was launched in 2015 and originally worked with eight school-university partners. US PREP is now adding eight more partners, including in New York City and California. In all, the US PREP coalition will prepare over 5,000 new teachers each year.